Let’s focus on prevention with the “Save Your Sight” campaign (“campagna Salva la Vista” in Italian). 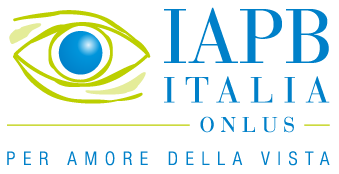 Promoted by the Italian Society of Ophthalmology (SOI), the International Agency for the Prevention of Blindness-IAPB Italy and the “Insieme per la vista” Foundation (Together for Sight), this initiative also continues early in 2019. You can book your first eye exam free of charge on a first come first served basis by contacting one of the ophthalmologists participating in the campaign directly. This opportunity is reserved only to people who have never had an eye examination before (available in Italy only). The campaign - which was launched in 2018 on World Sight Day (celebrated on the second Thursday of October every year) - aims to raise awareness on the importance of prevention. To have your eyes examined, you just have to contact one of the more than 800 participating ophthalmologists featured in the list linked below. We have outstanding potential and skills, which we can put at the service of citizens, and even more so, of those people whose sight can be saved with our help. Contact the International Agency for the Prevention of Blindness - IAPB Italy. Our toll-free number of ophthalmological consultation is available calling from Italy, Monday to Friday from 10 am to 1 pm (CET). Write us in the Forum: an ophthalmologist will answer you for free.